I love that idea for foraging in the paper decoration . That bathtub is absolutely perfect for them! Looks like a soap dish? They are adorable and I really enjoy seeing all the great new toys you find for them. 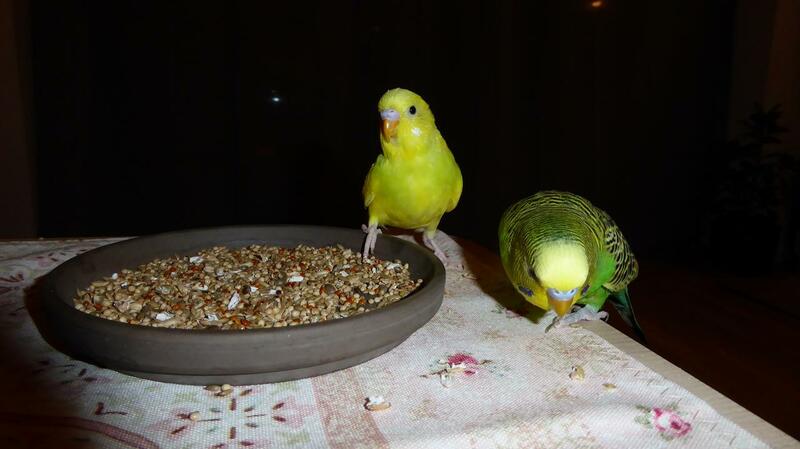 Polle and Heino are as cute as ever . 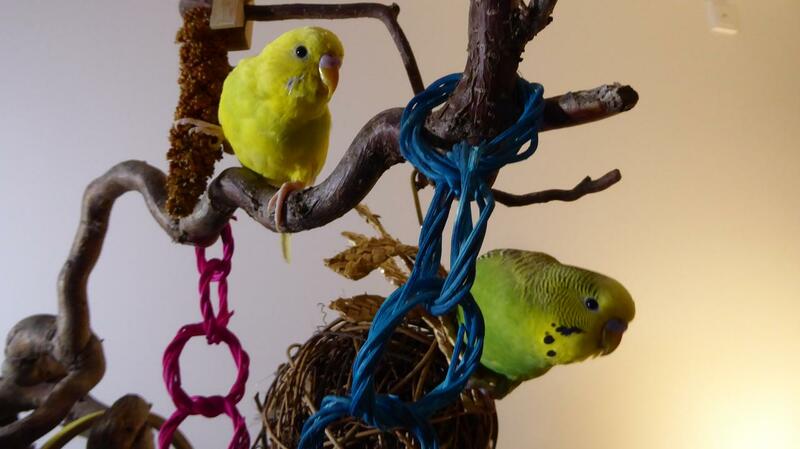 Such happy little birdies! Nice to see them, they are looking so grown up now. Love the new pictures. My favorite of that grouping is the last one! Some great pictures! 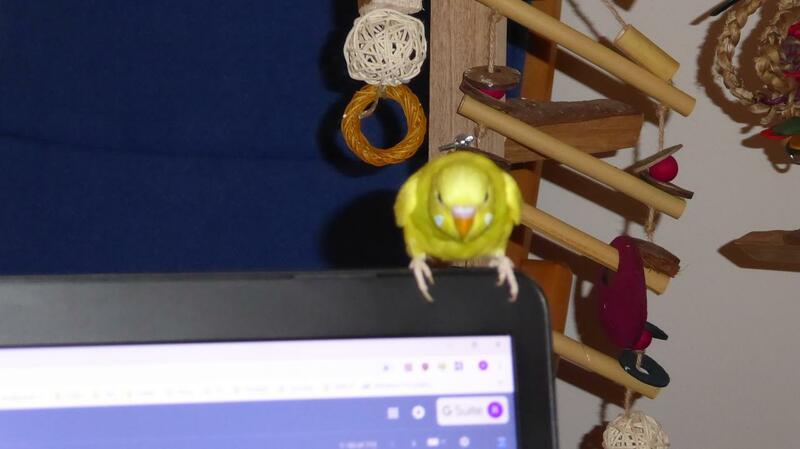 Budgies do like to perch on a laptop screen, don't they? 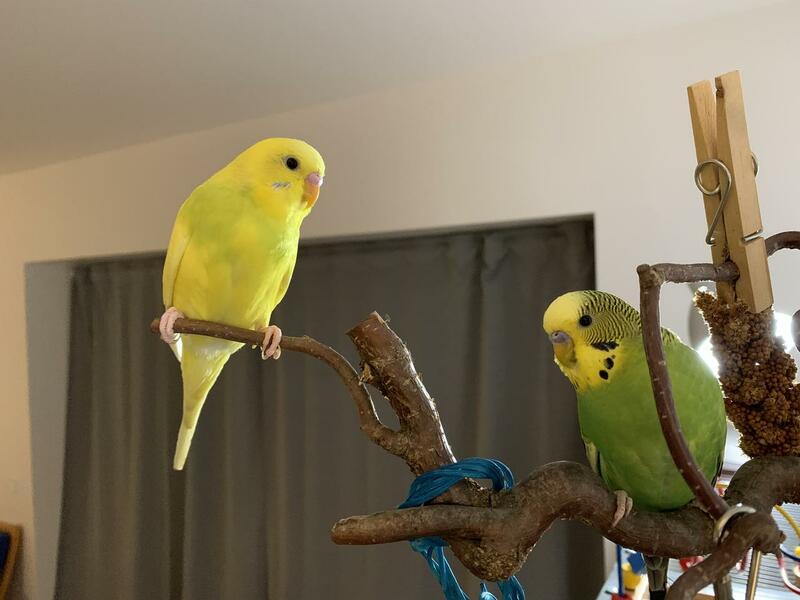 They have a lot of fun toys! 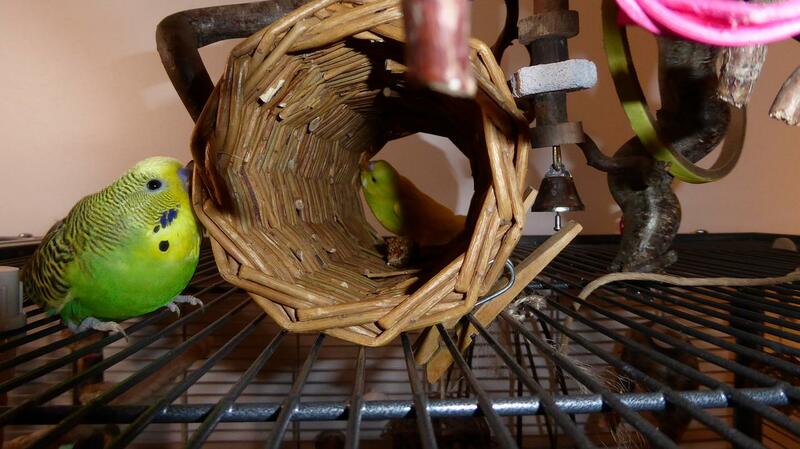 I especially like the picture of them playing with the wicker tube. They're incredibly handsome and clearly very happy and healthy Thanks so much for sharing their new pictures!